KAMPALA– NRM Secretary General Rt. 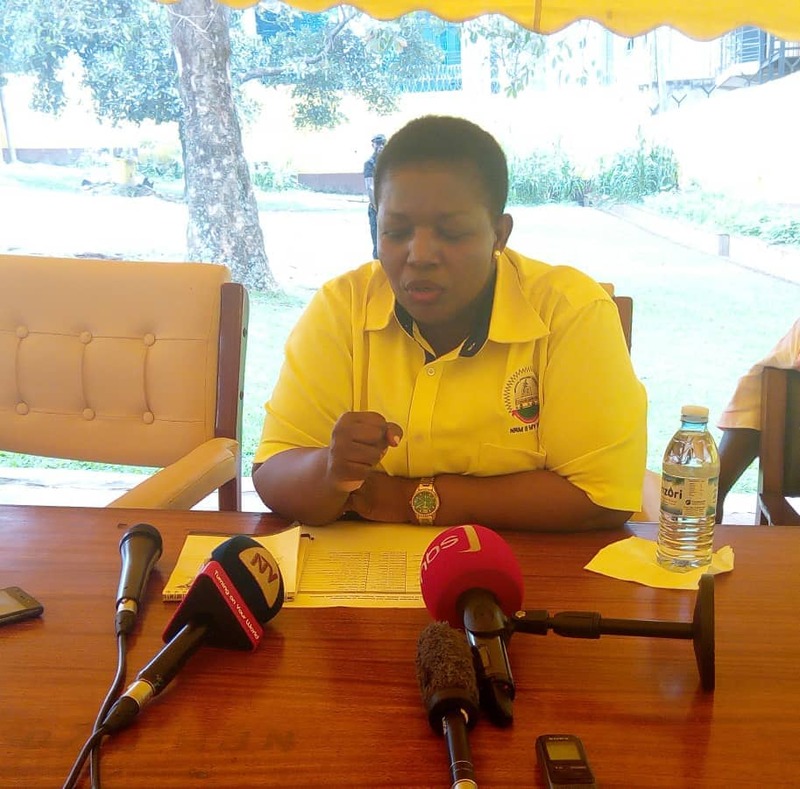 Hon Justine Kasule Lumumba has blamed the Wednesday loss in Arua Municipality by-elections on the violence caused by the opposition camps before and during polls. While addressing press conference at the party headquarters in Kampala Thursday afternoon, Lumumba said such scenes of chaos scare away the women who constitute the majority voting population of the ruling party and give chance to the defiant men in the opposition. “Violence during elections affects us more as it scares away the women after developing fear,” said Lumumba. The Secretary General strongly condemned such acts and called upon the security agencies always to react to them with maximum attention in order to protect the innocent women from shying away from their constitutional rights. Commenting about the trending ‘People Power’ slogan, Lumumba said it’s more suitable for NRM which commands majority support in the country than those without even clear political leaning. She also confessed that NRM held its primaries late and with no time to reconcile its candidates, some of whom ended up getting nominated for the general elections which contributed to their loss. According to her, the total number of votes gathered by the party flag bearer and other NRM-leaning candidates was far bigger than the opposition. This, she said is an indication that NRM would have taken this seat if it had only one party member in the race. “We shall continue correcting our mistakes to win back these positions in future,” she added. The Arua by-election that was conducted on Wednesday 15 was won by Kassiano Wadri who garnered 6,421 votes despite his detention, while his closest challenger, Nusura Tiperu of NRM polled 4,798 votes. Robert Ejiku came third with 2,694 votes. Forum for Democratic Change candidate, Musema Bruce came fourth with 1,369.